One of the greatest parts about being a rock hound is the discovery of rare and unique specimens. It takes true appreciation of the brilliance of history, nature and the stories behind unique pieces in order to be the collector of such an item. It is for all the true rock hounds that these lovely specimens are being featured on the website. Read on to learn about their unique features, their origins and other cool facts! 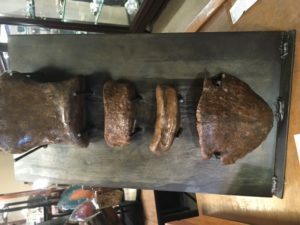 Why do collectors prize petrified specimens if they’re not very rare? One reason is because, while petrified wood is available – it’s not necessarily legally permissible to collect it. 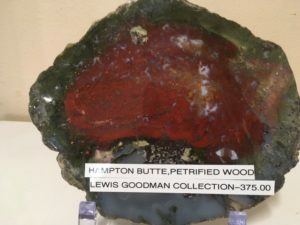 The Lewis Goodman Collection of petrified wood, which is a fossilized form of wood, is one of the most prized examples of it’s curation. His collection is known to be one of the best and most unique, amassed over several decades, in order to make accessible some of the most incredible specimens on the planet. As one of the most vigorously studied formations of North America, the Hell Creek Formation of the upper cretaceous and lower paleocene rocks, is named for exposures near Jordan, Montana. The formation itself is elaborately laid over parts of Montana, North Dakota, South Dakota and Wyoming. Rich with dinosaur bones, the Edmontosaurus, a hadrosaur, is a species of comb-crested hadrosaurus or duck-billed dinosaur. Hell Creek is home to the most complete edomontosaurus ever found. 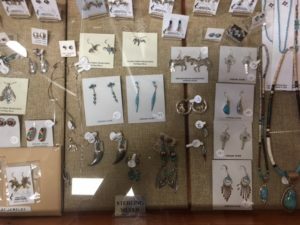 Rich in turquoise, silver and coral as well as expert craftsmanship native to the culture and mythology of the native americans, our indian jewelry showcases pieces that convey special meaning for centuries of native groups. Masterful techniques incorporate semi-precious stones, intricate designs as well as the myths of spirit, healing and good fortune. Over 225 million years ago, fallen trees from the late triassic period have been found in sediments of what is called fossil logs. These incredible specimens are an aspect of the very widespread and extremely colorful chinle rock formation. The permineralization process is conducted when a natural bone is replaced by various materials. 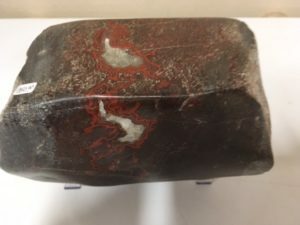 In unique scenarios, a fossilized dinosaur bone will actually be replaced by chalcedony or cryptocrystalline quartz crystals instead of ironstone or other minerals. When chalcedony is translucent or has various patterns or even bands it is considered agate. The result? Dinosaur gem bone otherwise known as agatized bone. 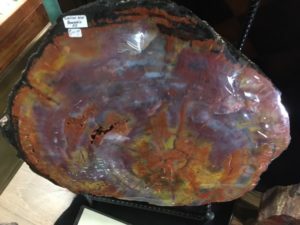 Regardless of whether you are a collector or just enjoy the incredible gifts from the earth, the Mammoth Mine Rock Shop is here for your curiosity and pleasure! Stay tuned for more great specimens and cool facts. Check back in the shop or blog and you’ll always discover something new! And, remember: we are doing 15% off all minerals for the next month as our special Halloween treat for you! My husband Tom and I truly enjoy the unique and exciting mineral and rock specimens. We learn so much from Ron each time we visit. We have added some really great pieces to our collection from this rock shop “gem”.